Mountain Home AFB is the home to 366 FW. It is located in southwestern Idaho and is approximately 30 50 miles southeast of Boise and 8 miles southwest of Mountain Home. 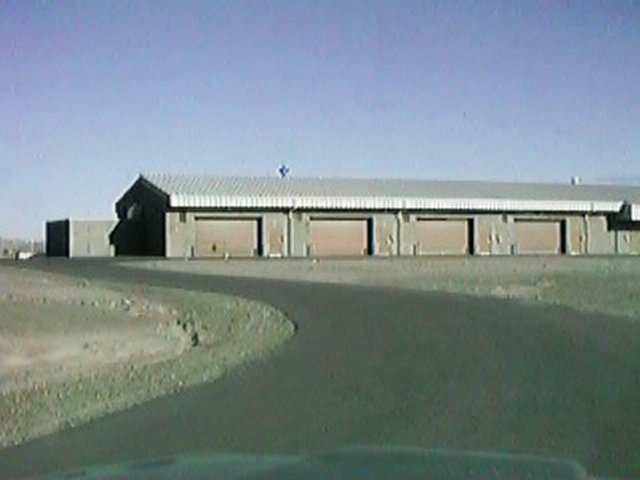 Mountain Home AFB 31 also includes the Small Arms Range, Rattlesnake Radar Station, Middle Marker and C.J. Strike Dam 32 Recreation Annex, and the MHRC. As of 2016 , Mountain Home AFB had three fighter squadrons — two F-15E squadrons from 366 FW and one squadron of F-15SGs from the Republic of Singapore Air Force. The Mountain Home Range Complex (MHRC) comrises Saylor Creek Range (SCR), Juniper Butte Range (JBR), target and emitter sites, and overlying special use airspace located primarily in Owyhee County in southwestern Idaho. As warfighting has changed in recent years, more emphasis has been placed on coordinated integrated training (e.g., air-based Air Force forces training with ground based Army or Marine Corps forces), especially between air and ground units. Military training ensures that deployed forces are well trained and equipped to conduct integrated combat operations. As missions change, training assets need to adapt to evolving training needs. The target arrays at SCR have been stagnant. The JBR target array has not changed since the range opened in April 2002. Additionally, the 726th Air Control Squadron (ACS) at Mountain Home AFB provides an air picture to the other aircraft as they train. Idaho Air National Guard unit, the 266th Range Squadron, controls and maintains emitter sites within the MHRC. Other units (e.g., Special Forces from installations in the region, as well as area Reserve, National Guard, and Army units) have requested integrated training with 366 FW to prepare for deployments abroad. In 2016 the U.S. Air Force (USAF) assessed the potential environmental consequences associated with operational changes at the Mountain Home Range Complex (MHRC). The Complex comprises Saylor Creek Range (SCR), Juniper Butte Range (JBR), target and emitter sites, and overlying special use airspace located primarily in Owyhee County in southwestern Idaho. The purpose of the Proposed Action is to sustain the primary mission of 366th 11 Fighter Wing (366 FW), which is to provide mission-ready gunfighters to fight today’s war and the next, as well as providing the most up-to-date air-to-air and air-to-ground support training opportunities and long-term viability of MHRC associated airspace and ranges for 366 FW and other Department of Defense (DoD) aircrews. Supporting current, emerging, and future integrated-based training operations, especially relating to the integration of air and ground operations is critical for sustaining 366 FW mission. These operational changes are needed to maintain pace with emerging and future combat training needs through continued upgrade and modernization of range facilities, targets, and impact areas at the MHRC. The Environmental Assessment (EA) analyzed the potential environmental consequences of activities associated with operational changes at MHRC, and provides environmental protection measures to avoid or reduce adverse environmental impacts. Actions would include Establishing landing zones on JBR for helicopters and V-22 aircraft; proposed helicopter operations would average 4 weeks per year (or 28 days), with no more than two landings per day, totaling 56 operations per year and the V-22s would operate 2 weeks per year (or 14 days) with no more than four landings per day, totaling 28 operations per year and Developing a 75 by 5,000-feet compacted gravel assault landing zone. The base has a history over teh decades of adapting to the effects of changing USAF missions, from the World 2 War II long-range, heavy bombers (B-24s, B-29s, and B-47s), to Cold War-era modern fighters (F-16s and 3 F-15Cs) and bombers (B-1Bs), to the current F-15E/F-15SG squadrons. Mountain Home AFB has expanded, constricted, closed, and re-opened several times. Since 1990, the number of aircraft based at Mountain Home AFB has varied from a high of 76 to its 2016 level of 56. As of 2016 there were two primary missions at Mountain Home AFB: to rapidly deploy to conflicts and trouble spots around the world, and to be the foreign military pilot training location for the Republic of Singapore F-15SGs. The 366th was for a time the Air Force's premier air expeditionary wing. With the support of KC-135R Stratotankers, the wing blends the firepower of F-15C Eagles, F-15E Strike Eagles, F-16C Fighting Falcons and B-1B Lancers to form a single, cohesive aerial strike force. What made the 366th Wing unique is its air expeditionary mission. The wing was designed to deploy with its own command, control, computer, communications and intelligence capabilities. Rather than building a composite wing at a deployed site, the 366th Wing was a composite force already built and trained, ready to fight and intervene anytime, anywhere. 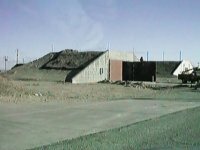 Construction of Mountain Home Army Air Field in Idaho began in November 1942 and the new field officially opened August 7, 1943. Shortly thereafter, airman at the field began training United States Army Air Force crews for World War II. The 396th Bombardment Group (Heavy) was the first unit assigned and its planned mission was to train crews for the B-17. However, before the first B-17s arrived, plans for the field changed and the 396th was transferred to Moses Lake, Washington. Instead of training B-17 crews, Mountain Home airmen began training crews for the B-24 Liberator. The first group to do so was the 470th Bombardment Group (Heavy), which trained at Mountain Home from May 1, 1943, until January 1944, when the unit moved to Nevada. The 490th Bombardment Group (Heavy) replaced the 470th and trained B-24 crews until it deployed to England in April 1944. The 494th Bombardment Group then replaced the 490th, once more training Liberator crews. The base also received fighter aircraft to add realism to its training. A few P-38 and P-63 pursuit planes arrived in January 1945 to simulate attacks on B-24s. In June 1945, Mountain Home also briefly served as a training base for the new B-29 Superfortress, but the end of the war in August brought a swift end to the new mission and, for a time, to the base at Mountain Home. The base was placed in inactive status in October 1945. The base remained inactive until December 1948 when the newly independent United States Air Force assigned first the 5th Reconnaissance Group and then the 5th Strategic Reconnaissance Wing and their RB-17s to Idaho and the newly renamed Mountain Home Air Force Base. This new lease on life was short-lived, however, lasting only until April 1950, when the base once again closed. But less than a year later, the base was reactivated, hosting the 580th, 581st, and 582nd Air Resupply and Communications Wings over the next three years. They flew C-119, B-29 and SA-16 aircraft and trained to support covert and special operations. When the last of these wings departed for overseas duty in 1953, the base was transferred to Strategic Air Command which assigned its 9th Bombardment Wing to Mountain Home. The 9th relocated to Mountain Home AFB in May 1953, and began flying B-29 bombers and KB-29H refueling aircraft. The 9th began converting to the new B-47 Stratojet bomber and the KC-97 tanker in September 1954, keeping alert bombers ready for war at a moments notice and continuing its mission as a deterrent force throughout the Cold War years of the 1950s and early 1960s. 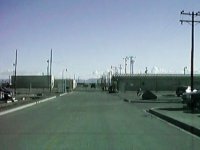 In 1959, construction of three Titan missile sites began in the local area. The 569th Strategic Missile Squadron controlled these sites and was assigned to the 9th Bombardment Wing in August 1962. To prepare for the addition of missiles to its bomber forces, Air Force redesignated the wing as the 9th Strategic Aerospace Wing in April 1962. 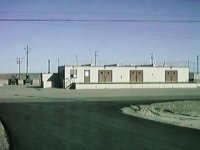 Mountain Home hosted three Titan I missile complexes at Bruneau, Oreana, and near Boise. On February 5, 1960, Colonel Paul H. Symbol of the Walla Walla Corps of Engineers District opened bids in the House of Representatives chamber of the Idaho State Capitol Building at Boise. Of the six bidders, the joint venture of Kaiser-Raymond-Macco-Puget Sound came in with a low winning bid of approximately $28.9 million. Notice to proceed was granted on February 9th. 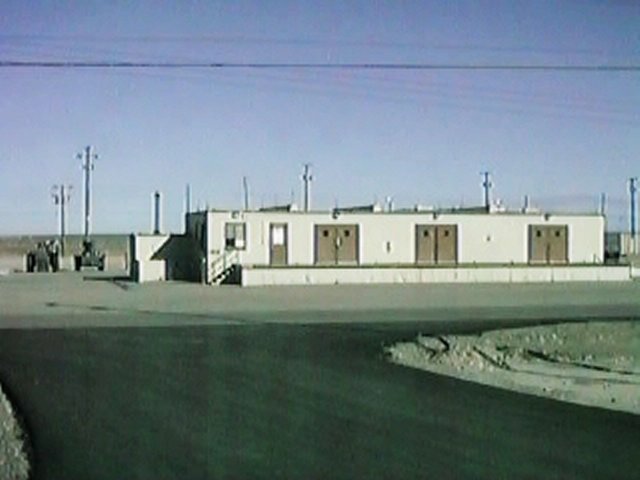 As the contractors proceeded with site construction, contract oversight was switched in October 1960 from the Walla Walla District to the Titan I Directorate of the Corps of Engineers Ballistic Missile Construction Office (CEBMCO) in Los Angeles as part of a national centralization of missile construction oversight. The remoteness of the three sites proved challenging to the contractors in recruiting a steady labor force. A shortage of certain skilled craftsmen in the Mountain Home area forced the contractors to authorize overtime and additional benefits to those laborers who were available. There were no strikes. Nine unauthorized walkouts costing 908 man-days of labor over minor issues were insubstantial in contrast to other missile site construction projects. During construction, three workers died; two due to injuries sustained in falls. Shipping materials from cities such as Seattle and Salt Lake City also drove up costs. An added difficulty was the weather. Temperatures during construction ranged from a high of 109°F to a low of -22°F. The severe winter temperatures forced costly measures to protect concrete placement operations. During the summer, wind-driven silts and sands interfered with progress. High well-water temperatures (up to 128 degrees) and mineralization required that special water treatment and cooling systems be used before the water could be used in the construction process. To get at the water, wells varied in depth from 950 to 3,030 feet. By May 30, 1962, there were 246 modifications to the prime construction contract. Modifications proved to be the biggest cause for added costs and delays. Some of these modifications required expensive reconstruction and contributed to the final construction tally for the project, which topped $51 million. Yet despite the problems, the joint venture contractor team completed work before the April 1, 1962 deadline. The activation of the 569th Strategic Missile Squadron on June 1, 1961, marked the last such activation of a Titan I squadron within the Strategic Air Command. This squadron would have a relatively short existence. On May 16, 1964, Defense Secretary McNamara directed an accelerated phaseout of Titan I and Atlas ICBMs. As a result, the 569th would join with two Titan I squadrons at Lowry, to be the last Titan I squadrons to undergo inactivation in June 1965. The Strategic Air Command mission at Mountain Home began to wind down, and in late 1965, the Air Force also began phasing out the aging B-47 bomber and announced plans to bring the 67th Tactical Reconnaissance Wing to Mountain Home. In January 1966, with the closure of the missile sites and the move of the 67th to Mountain Home, control of the base passed from Strategic Air Command to Tactical Air Command. The 67th flew RF-4C aircraft and conducted photographic, visual, radar, and thermal reconnaissance operations. Two years later the 67th also conducted tactical fighter operations with the addition of a squadron of F-4D Phantoms. This fighter mission lasted until late 1970 when the F-4Ds were reassigned. In June 1992, as part of Air Force restructuring, Air Combat Command replaced Tactical Air Command. A month later, the 366th also gained the 34th Bomb Squadron. The 34th, which was located at Castle AFB, California, flew the B-52G Stratofortress, giving the composite wing deep interdiction bombing capabilities as the only B-52 unit armed with the deadly, long-range HAVE NAP missile. Not long afterwards, in October 1992, the composite wing gained its final flying squadron when the 22nd Air Refueling Squadron was activated and equipped with the KC-135R Stratotankers. These tankers give the wing its ability to deploy globally at a moment's notice. In another change, on April 1, 1994, the 34th Bomb Squadron transferred its flag to Ellsworth AFB, South Dakota. At the same time the squadron's B-52Gs were retired, making way for the the squadron to be equipped with the technologically advanced B-1B Lancer. Next, a gradual transfer of the B-1s from Ellsworth to Mountain Home began in August 1996. The squadron completed a move to Mountain Home on April 1, 1997, when its flag was officially transferred to the Gunfighter home base. Also in 1996, the wing gained yet another operational squadron. On June 21st, the 726th Air Control Squadron was reassigned from Shaw AFB, South Carolina, to Mountain Home. The new squadron brought mobile radar surveillance, and command and control capabilities to the composite wing. In late October 1996, the wing's senior leadership also announced a new name for the 366th Wing. Henceforth, it would be known as the "Air Expeditionary Wing" in keeping with an Air Force decision to stand up "battle lab" at Mountain Home to refine the new concept. The wing would soon begin working out the most efficient procedures for moving an airpower expeditionary force to pre-selected locations around the world. On the support side, the 366th Supply Squadron redesignated as the 366th Logistics Readiness Squadron on 18 July 2002, merging both the supply and transportation missions. On the same day, the 366th Transportation Squadron inactivated. Finally, the 366th Contracting Squadron moved from the 366th Logistics Group to the 366th Mission Support Group on 30 September. With these changes, the wing's 10-year mission as the Air Force's premiere air expeditionary wing came to an end. The "Gunfighters" of the 366th Wing deployed to Saudi Arabia supporting Operation Southern Watch between 04 February and 01 July 1997. The deployment amounted 1,200 people, nearly one-third of Mountain Home's active-duty population. Hazardous materials have been used by the base for such activities as aircraft maintenance and industrial operations. 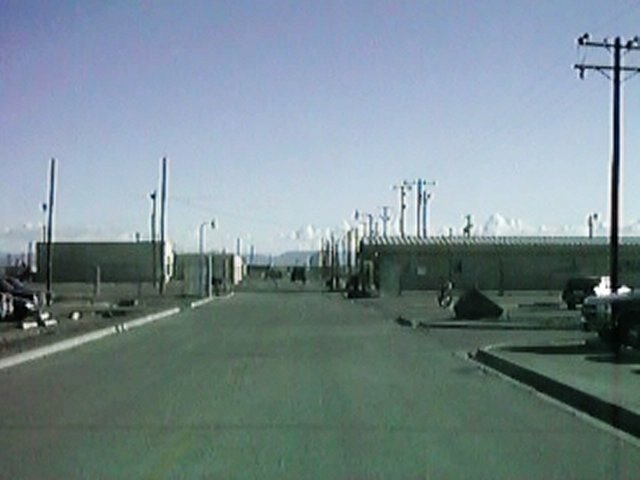 As a result, hazardous wastes have been generated from operations at Mountain Home AFB. Base wastes were historically disposed of by several methods, including landfilling of solid wastes, discharge of liquid wastes to sanitary sewers, and the use of waste oil in fire training exercises and road oiling. Approximately 30 areas were investigated at the base, including two abandoned landfills, several abandoned fire training areas, several industrial operation areas, and an entomology shop, where pesticides had been rinsed from application equipment. Wastes disposed of or spilled at these locations included petroleum, waste oils, solvents, and pesticides. Wells within three miles of the base irrigate agricultural land and supply drinking water to approximately 14,000 people. On-base water supply wells are the sole source of drinking water for base residents and workers. Regional groundwater below the base has been found to contain trichloroethylene (TCE) at levels below EPA-established safe drinking water levels. A perched water zone beneath a flightline contains benzene significantly above EPA safe drinking water levels. Cleanup at the base has been addressed by grouping sites with similar environmental issues. These groups include the abandoned landfills, the fire training areas, the regional groundwater, and other miscellaneous sites across the base. Abandoned Landfills: The Air Force conducted an investigation and risk assessment for the B Street Landfill and the Lagoon Landfill. It was determined that neither landfill posed an unacceptable risk to human health and the environment. Therefore, no action remedies were selected for both landfills. However, the landfills' impact on the regional groundwater was not known, so the sites were re-examined during the regional groundwater investigation. Flightline Fuel Spill: It was found that a fuel line had leaked beneath an aircraft parking apron in the west-central portion of the base. The leak released approximately 65,000 gallons of fuel to a perched water zone below the flightline. The perched water zone is believed to extend 250 feet by 500 feet, but may exist as smaller isolated pools within this range. Perched water at the site was found to contain benzene at concentrations up to 7,800 parts per billion (ppb), which exceeded EPA-established safe drinking water levels. However, benzene from this leak had not impacted the regional groundwater, which is where the base obtains its drinking water. Current Status: Since remedial action was required for the flightline fuel spill and regional groundwater, these are the only sites still being monitored. The benzene levels in the perched water zone have remained stable throughout the long-term monitoring program and the required institutional controls for this site have been implemented. All remedial actions have been implemented, and the site was designated construction complete in September 1998. This designation signifies that all required activities at the site have been implemented. Since contaminants have remained in place since the remedies were selected, the base is required to review the remedies every five years from the start of remedial action to ensure they remain protective of human health and the environment. The base completed its first 5-year review report on schedule in June 2001. Monitoring over the last five years has confirmed that water supplied to base personnel has not exceeded the EPA-established safe drinking water levels for TCE. However, expected decreases in TCE concentrations have not been observed. For this reason, the 5-year review calls for additional investigation of potential TCE sources. Monitoring has also confirmed that benzene is not present in water from the supply wells above EPA-established safe drinking water levels; however, free phase fuel and high dissolved concentrations of benzene have been observed in the perched zone monitoring well. Water level fluctuations suggest that the spilled fuel could migrate. Based on the findings of the 5-year review, the base plans to further characterize the perched water zone and evaluate the potential for benzene to reach the regional groundwater and potential active controls. The 5-year review also identified the need for institutional controls in "No Action" areas where unrestricted use would result in risks above EPA's acceptable risk threshold. Institutional controls for the new areas will be embodied in an Explanation of Significant Differences. Secretary of Defense Recommendations: In its 2005 BRAC Recommendations, DoD recommended to realign Mountain Home Air Force Base, ID. It would distribute the 366th Fighter Wing assigned F-15Cs (18 aircraft) to the 57th Fighter Wing, Nellis Air Force Base, NV (nine aircraft), to the 125th Fighter Wing, Jacksonville International Airport AGS, FL (six aircraft), and to retirement (three aircraft). The 366th Fighter Wing would distribute assigned F-16 Block 52 aircraft to the 169th Fighter Wing McEntire AGS, SC (nine aircraft), the 57th Wing, Nellis Air Force Base, NV (five aircraft), and to backup inventory (four aircraft). DoD also recommended to realign Elmendorf Air Force Base. The 366th Fighter Wing, Mountain Home Air Force Base, ID, would receive F-15E aircraft from the 3d Wing, Elmendorf Air Force Base, AK (18 aircraft), and attrition reserve (three aircraft). At the time of this recommendation, Mountain Home operated several types of aircraft; this recommendation would realign Mountain Home to fly only F-15Es, streamlining operations at a location that would be well suited for air-to-ground, low-level and air-to-air flight training. This recommendation would also align common versions of F-16s and F-15Cs. Assuming no economic recovery, this recommendation could result in a maximum potential decrease of 833 jobs (528 direct jobs and 305 indirect jobs) over the 2006-2011 period in the Mountain Home, ID, Metropolitan Statistical economic area (5.8 percent). In another Recommendation, DoD recommended to realign Mountain Home AFB by relocating base-level LANTIRN intermediate maintenance to Hill AFB, establishing a Centralized Intermediate Repair Facility (CIRF) for Low Altitude Navigation and Targeting Infrared for Night (LANTIRN) pods at Hill. Assuming no economic recovery, this recommendation could result in a maximum potential reduction of 65 jobs (41 direct jobs and 24indirect jobs) over the 2006-2011 period in the Mountain Home, ID, Metropolitan Statistical economic area (0.5 percent). Secretary of Defense Justifications: Military value was the predominant consideration in moving the F-15Es from Elmendorf (36) to Mountain Home (23) and F-16s to Nellis (12) and McEntire (48). Additionally, realigning the eight F-16 models and four F-16 engine types weighed in the final F-16 force structure laydown. Mountain Home currently operates several types of aircraft; this recommendation realigns Mountain Home to fly only F-15Es, streamlining operations at a location that is well suited for air-to-ground, lowlevel and air-to-air flight training. This recommendation also aligns common versions of F-16s and F-15Cs. Air Force Reserve force structure mix constant. Creating CIRFs for LANTIRN pods and F110 engines establishes Hill as a maintenance workload center for these commodities. This recommendation compliments other CIRF recommendations as part of an Air Force effort to standardize stateside and deployed intermediate-level maintenance concepts, and will increase maintenance productivity and support to the warfighter. Community Concerns: The Idaho community maintained that Mountain Home AFB is ideally located and postured to receive future weapon systems such as the F-22 and Joint Strike Fighter, as well as additional personnel. Mountain Home's remoteness provides training and expansion opportunities with no encroachment, no environmental impacts to training, nor any noise complaints. 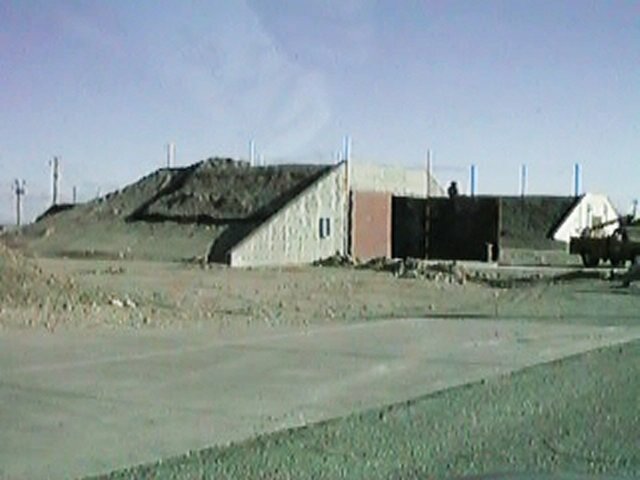 The size and location of the Mountain Home range complex, currently undergoing expansion, has allowed the base to support the training of airmen in numerous weapons systems over the years. The community contended that after a recently completed $3 million renovation, Mountain Home has one of the largest ramps in Air Combat Command and is designed to support both bomber and tanker aircraft. As many as 220 aircraft can be parked on the ramp. In addition, the base has built 600 of 1,400 new housing units planned in a ten-year program. Last, the community contended that DoD's recommended realignment will result in a personnel loss that would have noticeable economic impacts on such a small community. Commission Findings: The Commission found that a potential 6 percent job loss in the Mountain Home area could have an economic impact given the small size of the community. However, not all jobs will be lost at once and GAO has reported that as local economies grow during the 2006-2011 implementation period, total employment is also likely to grow, reducing the overall percentage of job losses. The Commission found that Mountain Home Air Force Base is well suited for various types of flight training. It also has the capacity and the infrastructure available to receive future missions. Though the realignment results in the base losing some of its weapon systems, the Air Force indicated that the base is being considered as a potential location for the beddown of the Joint Strike Fighter as well as a training ground for international squadrons. Therefore, the Commission found that the Secretary of Defense's overall intent and concept of streamlining operations at Mountain Home and realigning aircraft is approved. The Commission revised the DoD recommendation to be consistent with the Commission's Air National Guard and Air Force Reserve Laydown Plan. The Commission found that this realignment was consistent with the Air Force goals of creating larger more efficient fighter aircraft squadrons and improving intermediate level maintenance processes. The Commission found that Hill Air Force Base had capacity and conditions for current and future flying missions. The Commission also found that the Secretary of Defense's overall intent and concept of realigning F-16 aircraft out of Hill Air Force Base was supportable. The Commission supported the recommendation to establish Hill as a Centralized Intermediate Repair Facility for Low Attitude Navigation and Targeting Infrared for Night pods and for F-110 Engines. The Commission established an F-16 wing at Homestead Air Reserve Base, Florida and the Naval Air Station Joint Reserve Base Fort Worth, Texas. This recommendation is consistent with the Commission's Air National Guard and Air Force Reserve Laydown Plan. Realign Mountain Home Air Force Base, ID. Distribute the 18 F-15C/D aircraft and 18 F-16 aircraft assigned to the 366th Fighter Wing (ANG) to meet the Primary Aircraft Authorizations (PAA) requirements established by the Base Closure and Realignment recommendations of the Secretary of Defense, as amended by the Defense Base Closure and Realignment Commission. Establish 18 PAA F-15C/D aircraft at the 125th Wing (ANG), Jacksonville International Airport Air Guard Station, Florida. Establish 24 PAA F-16 aircraft at the 169th Fighter Wing (ANG), McEntire Air Guard Station, South Carolina. Realign Nellis Air Force Base, NV. Distribute 25 of the F-16 aircraft assigned to the 57th Fighter Wing to meet the Primary Aircraft Authorizations (PAA) requirements established by the Base Closure and Realignment recommendations of the Secretary of Defense, as amended by the Defense Base Closure and Realignment Commission. Establish 21 PAA F-16 aircraft at the 138th Fighter Wing Tulsa International Airport Air Guard Station, Oklahoma. Establish 18 PAA F-16 aircraft at the 144th Fighter Wing Fresno Air Terminal Air Guard Station, California. Realign Elmendorf Air Force Base, AK. The 366th Fighter Wing, Mountain Home Air Force Base, ID will receive F-15E aircraft from the 3d Wing, Elmendorf Air Force Base, AK (18 aircraft) and attrition reserve (three aircraft).